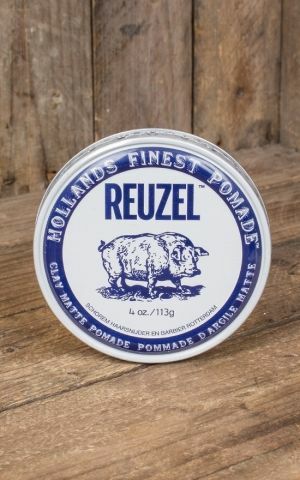 Reuzel Pomade is Schorem’s signature pomade. 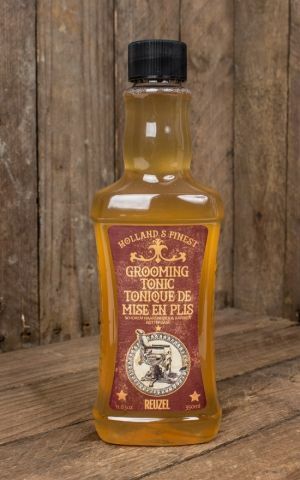 The barbershop in the heart of Rotterdam is regarded as a cult salon - not just in the Netherlands! 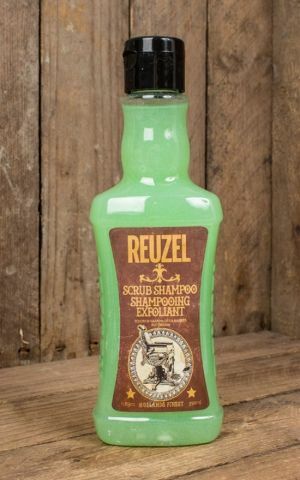 Schorem specializes in classic hairstyles for rockabillies, bikers, greasers and other related vintage styles. 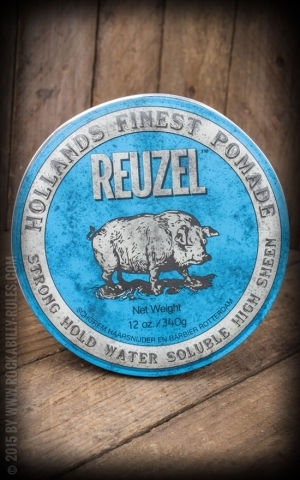 The salon’s barbers are true artists at their work. 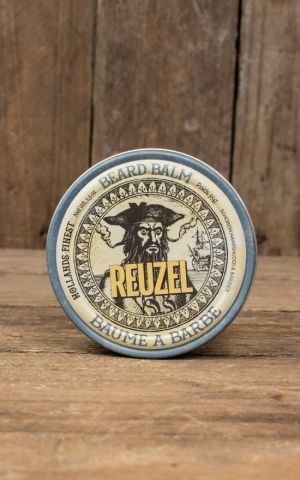 No wonder you’ll find a long queue outside the shop each morning as they operate a first come first serve system. 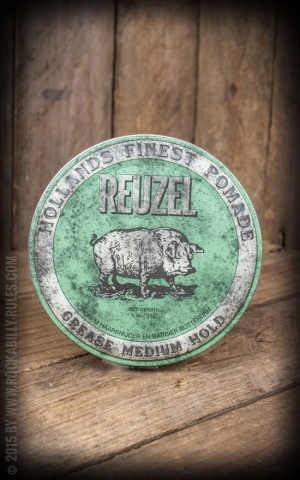 Fans and regulars have long dreamt of a Schorem pomade, now the long wait is finally over with the release of Schorem’s own pomade Reuzel. 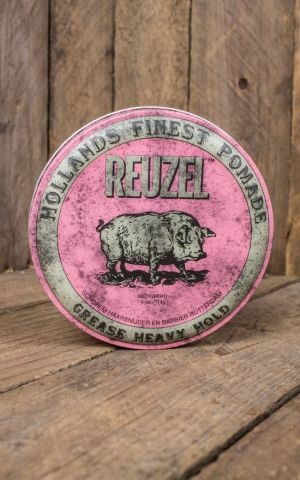 ‘Reuzel’ is the Dutch word for lard and refers to the time when hair care products were made from animal fats. 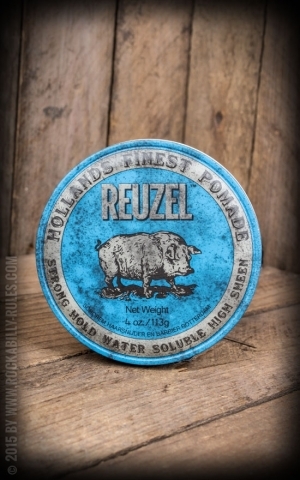 Hence why the different colored tubs feature a pig. 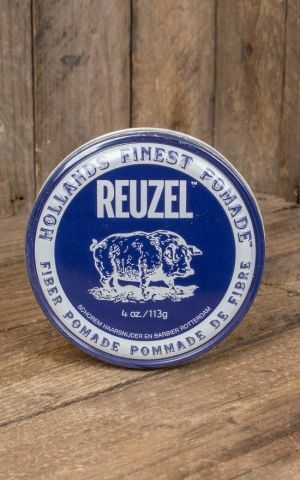 Their lovely vintage designs look fantastic in every bathroom and their contents are fabulous too. 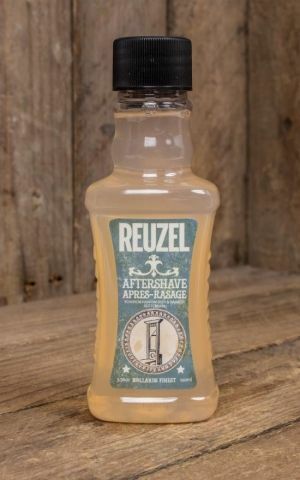 Reuzel pomades don’t harden, so that you can adjust and freshen up your style throughout the day. 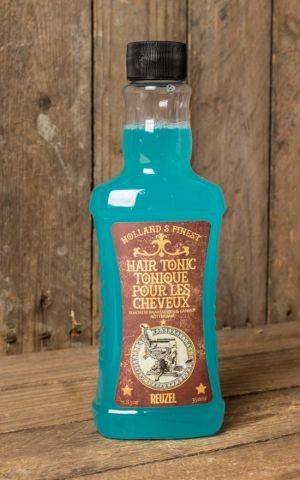 At the same time, the product keeps your hairstyle in place and bewitches the girls with its seductive scent. 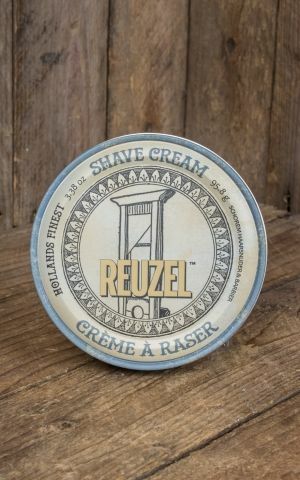 To keep the perfect rockabilly hairstyle in place even in challenging weather conditions, we recommend the Heavy Hold Reuzel Pomade. 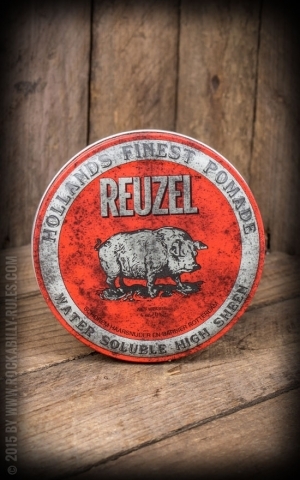 The red variety features a medium hold, which is water-based like Layrite pomades. 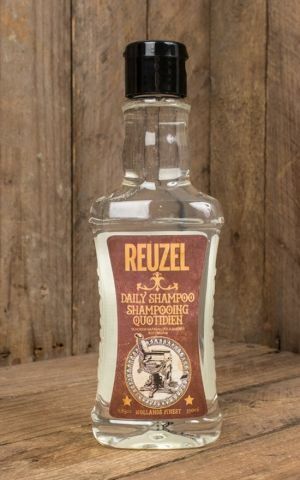 It’s easy to wash out and gives your hair a lovely subtle sheen. 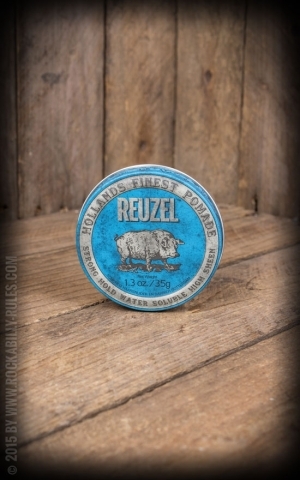 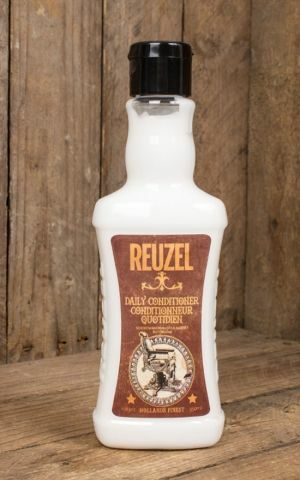 Reuzel Medium Hold’s formula is based on beeswax and is blended with a dash of peppermint. 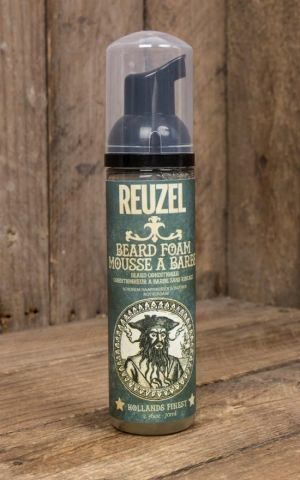 All three varieties are available here in our online shop.